A multi talented individual, asexual, book nerd, film buff, and Hero of Hyrule, Criss Gidas is a passionate writer and producer. Born in Melbourne, Australia, Criss was raised to Greek immigrant parents and holds dual citizenship between the two countries. This was helpful when Criss moved to London to study an honours degree in Screenwriting at Central Film School. While there, she interned for Big Light Productions run by 'The X-Files' writer/producer Frank Spotnitz where she witnessed the development of the second season of 'Man In The High Castle.' She also has a degree in Film & Television from Bond University on the Gold Coast where she really honed her skills in producing. 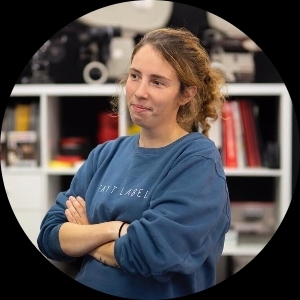 Criss has a passion for telling diverse stories with female leads that tackle hard to talk about topics that need to be told, working hard to realise their potential. An ex-marine competes as an amateur MMA fighter to raise money for her sister’s college fund when she’s confronted by her past. Based on true events, a high school team's star rugby player witnesses the sexual assault of his best friend and is threatened with silence or lose his chance with the national team.